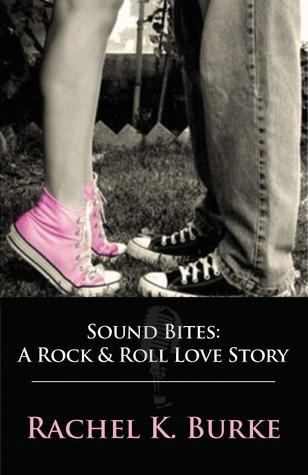 We are thrilled to be a part of the book tour for Sound Bites, A Rock & Roll Love Story . This tour is presented by AToMR Book Blog Tours. Our review is below and we are also giving away one ebook copy of this book. Enter below. Blurb: Renee Evans has a knack for trouble. After walking in on her best friend and boyfriend in bed together, twenty-five year-old Renee flees sunny Los Angeles and her dream job as a music journalist and returns to her hometown of Boston – only to meet Dylan Cavallari, the mysterious, aspiring musician who lives in her apartment building. Dylan’s piercing gaze and womanizing demeanor make him exactly the type of guy that Renee should steer clear of – which is most likely the reason she falls for him. But when Renee’s troublesome ex comes back and threatens to drive her and Dylan apart, Renee is forced to face her past and save her relationship with Dylan before it's too late. Sound Bites dramatizes what happens when Renee finds herself caught between a painful past and an uncertain future. Happiness turns out to be within her grasp, but it all depends on whether she can trust herself enough to make the right decisions. 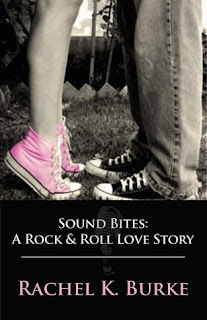 Sound Bites is a novel about love, friendship, betrayal, forgiveness, and the power of music to help you find your way. Our review: Not one but two pairs of Converse sneakers makes me want to pick this book up right away. And pink sneakers? C'mon, grabbing this and reading the summary is a given. It was those sneakers main character Renee wears which made me want to read this novel and I'm glad I did. I love stories with music as a setting with musicians as characters. Renee is nursing a broken heart as she runs back to her hometown of Boston to get away from the memories of her cheating boyfriend and best friend together in bed. I was immediately drawn to Renee's voice and her strength of character. She gives up her dream job (?!?) as a music writer to begin her life again someplace safe and comfortable. Enter Dylan, the 'bad boy' musician who lives one floor above Renee's apartment. When he begins playing a Jeff Buckley song he not only had Renee as pudding at his feet, he had me. Jeff B, really? Kudos to Rachel K. Burke for excellent taste in music. From then on Buckley's music was a constant mood enhancer and scene setter for me, easing me into Renee's falling for Dylan. This story is just what I needed when a break from paranormal stories is necessary. I thoroughly enjoyed Sound Bites and didn't want to see the last page. Sweet, emotional, Renee's story was a large cinnamon roll of yummy heaven, wonderful until the last bite. Despite some predictable aspects and segments where I found I was 'told' too much instead of being 'shown', the story and interactions between Renee and Dylan keep me going. Sound Bites is a fun contemporary novel that shows sometimes what we have isn't what we want so by dropping everything and beginning over again one may actually find what or whom they need in the process. And to increase one's chances at success, make sure to wear Converse sneakers. The funkier the color, the better. Rating: 3.5 I liked it. Dylan leaned forward in his chair, looking at me with raised eyebrows. The shocking part was, in place of his normal brooding self, he was actually smiling. This was a first." Cover comment: Pink. Converse. Need I say more? Book source: I received a promotional mobi copy of this book for my totally honest review during a book tour. Cinnamon buns were purchased by me to consume while reading. We're giving away one ebook copy of Sound Bites. All you need to do is leave a comment and enter the Rafflecopter form below. The cover is amazing and the blurb drew me in immediately! I've added this to my tbr list! Looks great! I would love to read this. When the brooding guy smiles, it's always sweet :) That's a lovely scene.